On this 16th day of journeying with the Celts to the Creche, we join up with a modern day Celt, John O’Donohue of Ireland. 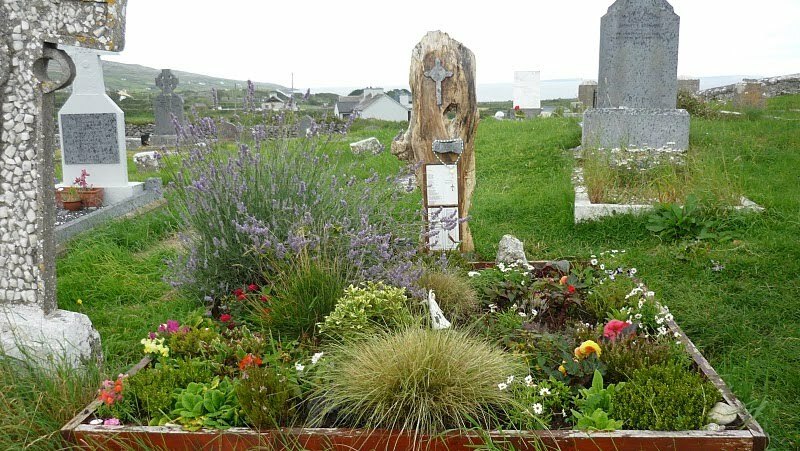 John was a renowned former priest, poet, philosopher, mystic, author, scholar, and a lover of his home territory of the Burren on the western coast of Ireland. John had a beautiful, Celtic wild soul with a mesmerizing Irish lilt to his voice. He was known for being a gregarious, fun-loving companion, with an earthy sense of humor and joie de vivre, and was a mesmerising storyteller who also loved solitude. John, who was known to enjoy a good single malt or Jameson whiskey was able to connect the worldly with the sacred — and see it all as holy. You may desire to continue reading more about John O’Donohue or go on to the Meditation towards the end of this page. Discovering this Celtic Author: In the Fall of 2008, I was on a retreat at the incredibly beautiful St. John’s Abbey Guesthouse in Collegeville, Minnesota. Squeezed into a tight little corner of my mini carry-on suitcase was a new black and gold paperback by an author I had never heard of, to read in the solitude of my peaceful, zen-like room overlooking the serene view of swaying trees and glassy pond. As I had recently discovered Celtic Christian spirituality, the title had intrigued me, so Anam Cara: A Book of Celtic Wisdom by John O’Donohue was my companion on this retreat. This book spoke to my soul profoundly. To hear the news that John O’Donohue had just passed away within the year was very sad. 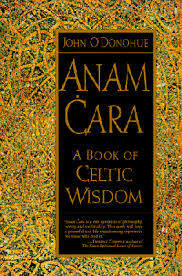 Since that retreat, I have re-read Anam Cara numerous times and have devoured all his other books, listened to podcasts, and watched youtube videos of this most unusual Celt who now resides on the other side of the veil. To read his books or to hear his engaging voice intonate one of his poems is to savor the gift of blessing that transforms into a deep knowing that the Presence of God is with us, within us, and surrounding our very being. His friends speak of his amazing huge deep joyous laugh and the twinkle in his eyes. Following is a poem that John wrote that was published in his book To Bless the Space Within (Benedictus in Europe and UK) two months after he died. John O’Donohue website. Information about John, a listing of all his books, videos, recordings, memorial, etc. Excellent website about John. The Independent. John Skinner’s thoughts on John O’Donohue. The Irish Times. 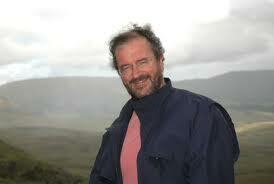 Poet and Author John O’Donohue Laid to Rest. January 14, 2008. The Irish Times. President at Funeral of Poet’s Mother. January 4, 2012. McColman, Carl. Remembering John O’Donohue. January 2008. On Being. An oral interview with John O’Donohue.Tippett, Krista. Beauty is an Edge of Becoming. ______. An oral interview with John O’Donohue. Tippett, Krista. The Inner Landscape of Beauty. Sawyers, June Skinner. “John O’Donohue” in Praying with Celtic Saints, Prophets, Martyrs, and Poets. Franklin, WI: Sheed & Ward, 2001. This entry was posted in Uncategorized and tagged 40 day Celtic Advent devotional, Anam Cara, Beannacht, Celtic Advent Devotional, Celtic Saints, Celts to the Creche, Connemora, Creggagh Cemetery, Fanore, John O'Donohue, Kristine Fleck, Online Advent Devotional, St. John's Abbey. Bookmark the permalink.